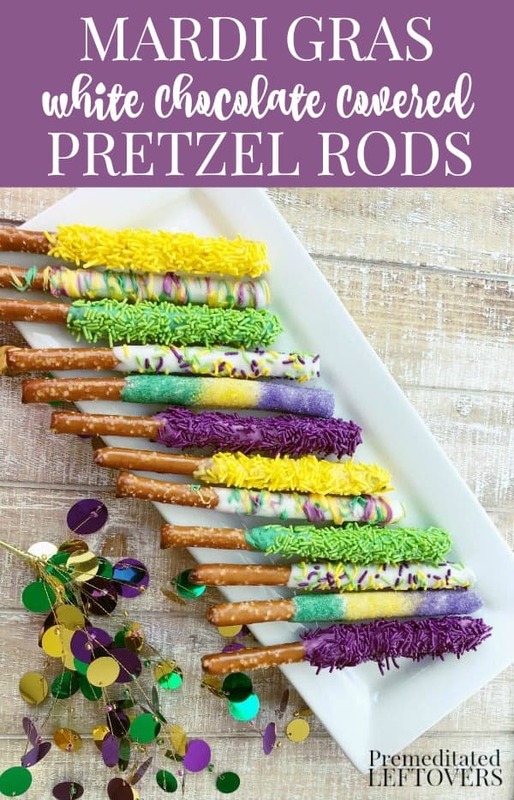 There will definitely be good times on Fat Tuesday if you serve this Mardi Gras Chocolate Covered Pretzel Rods Recipe. 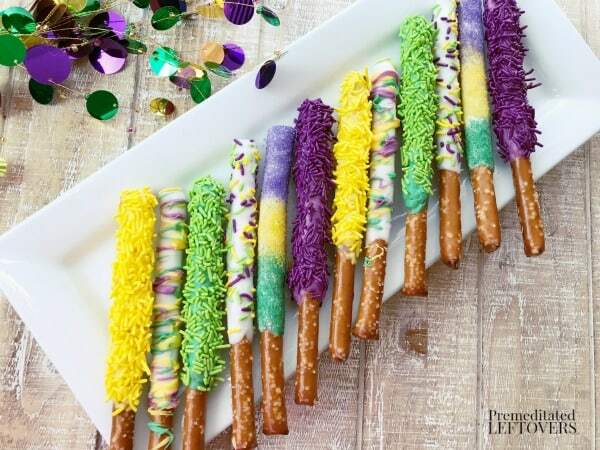 Whether you are throwing a Mardi Gras party or just want a simple treat for Fat Tuesday, try these no-bake chocolate dipped pretzels. 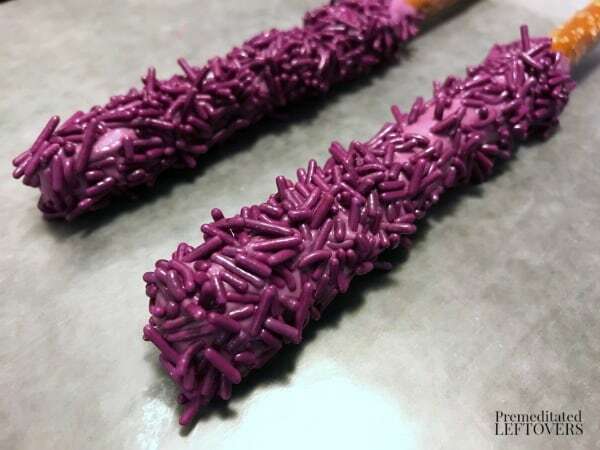 Chocolate covered pretzels are easy to make! Even better, they come together quickly. 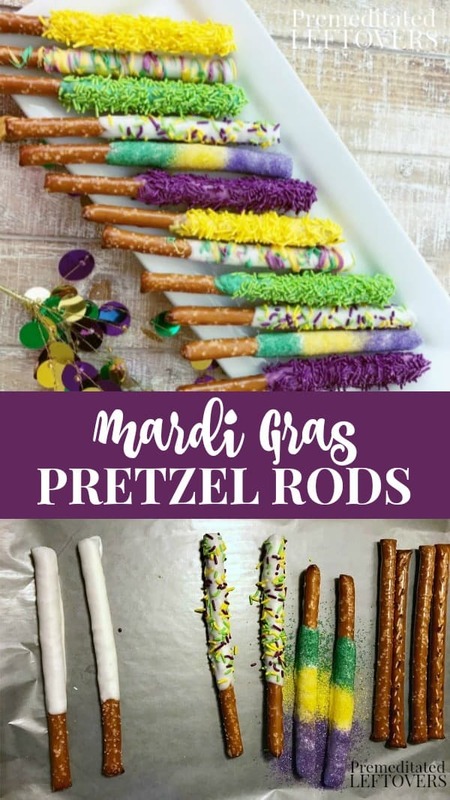 However, in my kids' opinion, the most important thing about this Mardi Gras Pretzel Rods Recipe is that it creates a fun and pretty impact for your Mardi Gras celebration! 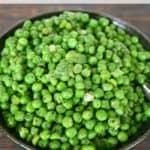 We have used the traditional Mardi Gras colors of purple, green, and gold to coat the pretzels. 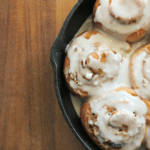 These set the stage for Fat Tuesday and help satisfy everyone's sweet tooth. 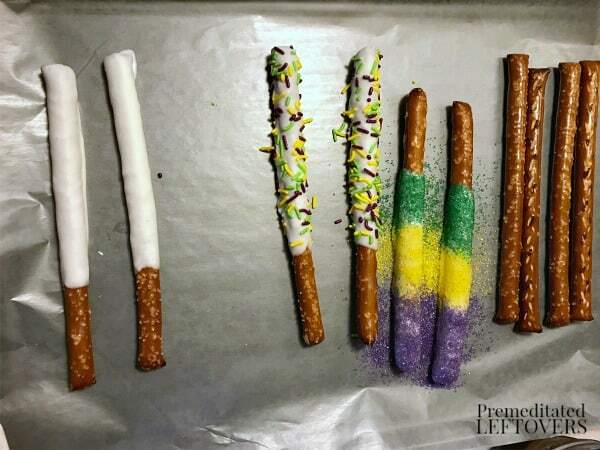 We have created a variety of designs for coating pretzel rods for Mardi Gras. 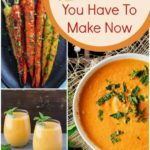 Use our ideas or come up with your own based on the recipe below. Let pretzel rods harden completely before packaging or serving.